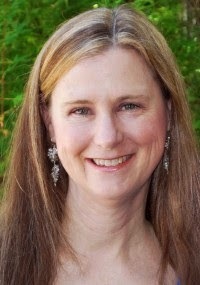 My guest today is author Syrie James. I must confess, Dear Readers, I felt I hit the 'big time' having Syrie James at More Agreeably Engaged! She is stopping by as part of her virtual book tour for her latest release, Jane Austen's First Love. I have started reading this book and am enjoying it immensely. It has made me want to do some digging myself. I am quite fascinated with all the research that you did, Syrie, and the excitement you must have felt on several of your discoveries. Thank you so much for visiting and for telling us a little about Jane Austen and the Theatre. Jane Austen loved the theater, an interest which began at an early age, when she and her sister and brothers put on performances in the barn at Steventon Rectory. I was so intrigued by this notion, that when I wrote my novel Jane Austen’s First Love, I included a home theatrical as a major plot point in the story. Jane and her siblings used to act for a small circle of friends, complete with scenery and memorized lines. 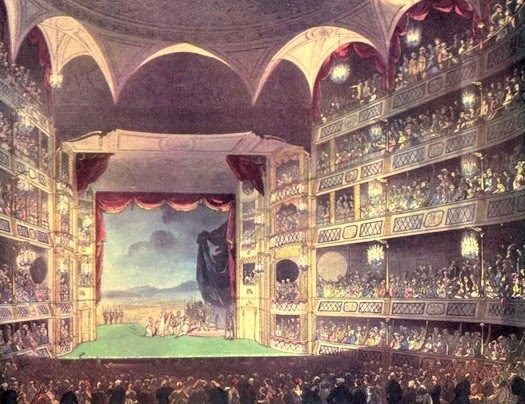 The “Steventon Theatricals” began when Jane was seven years old and continued until she was fourteen, at one point (in 1788) presenting plays every few months. The young Austens put on comedies, burlesques, and knockabout farces dealing with scheming daughters, flirting rogues, quarreling servants, disguised ladies, and jealous gallants. James Austen, the eldest son, served as actor-manager, and wrote and spoke his own prologues and epilogues. The Austens’ beguiling cousin Eliza de Feuillide, who was fourteen years Jane’s senior, usually joined in these performances, playing the leading female roles. All the children took part. Jane, who is said to have had a sunny disposition and a gift for reading aloud with great expression, was no doubt a talented young actress. If Austen loved acting and the theatre as we believe she did, then why did she present the enterprise in Mansfield Park as irresponsible? Was she simply looking for a way to introduce conflict into the story? Or is there more to it? It is well known that the Austens’ charming (and married) cousin Eliza flirted overtly with her cousins Henry and James whenever she came to visit, and that both were very attracted to her. (Henry eventually married Eliza after she was widowed.) 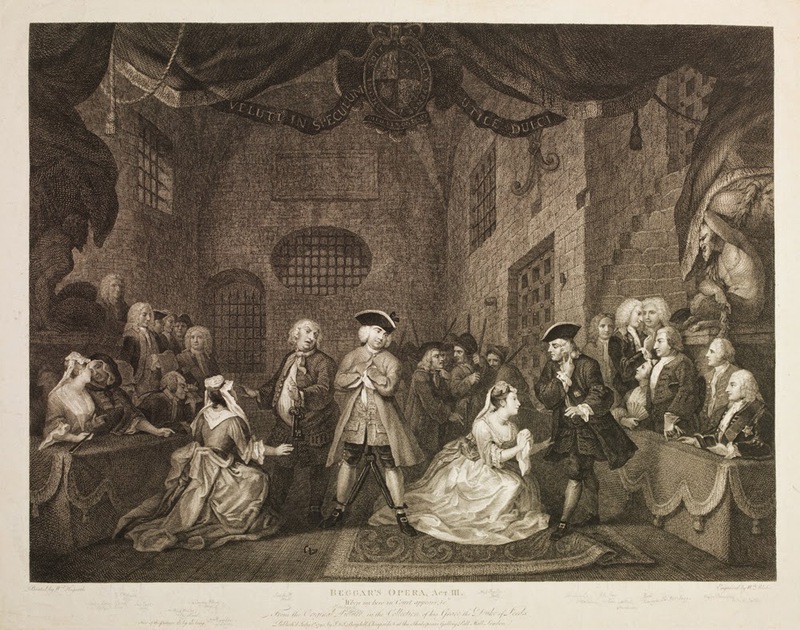 Could it be that Eliza and one or both of the young Austen men, under the guise of the bawdy Steventon Theatricals, behaved somewhat inappropriately with each other—an act the young Jane observed and felt created “a dangerous intimacy”? I think it highly likely that she did. It was this idea that inspired the theatrical scenes in my novel Jane Austen’s First Love. Fifteen-year-old Jane Austen is visiting the ancestral estate of the Bridges family, Goodnestone Park in Kent, when a rainstorm threatens to ruin all the family’s plans. Jane suggests that they put on a play—an endeavor which has disastrous, yet ultimately illuminating results. 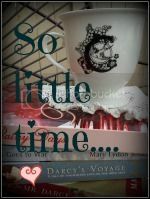 I had the time of my life researching and writing Jane Austen’s First Love, and hope that readers enjoy it! Thank you for stopping by on your busy virtual book tour. Your post was illuminating and insightful. I'm glad you shared this aspect of Jane's life with us. It was an honor to take part in your virtual tour and I wish you much success with the new book. I can hardly wait to finish reading it! I have always loved Mansfield Park. I have often wondered why the play was depicted the way it was as well. I agree that Jane must have been witness to some behavior that bordered on the scandalous. Enjoyed your insights. I just read in the news that tickets to see Benedict Cumberbatch in Hamlet sold out just seven hours after they were offered - for the whole showing. I love that theater is still a draw. It is almost impossible for me not to see a show each time I am in NYC or catch the traveling productions in Oregon when we are in the US. Jane Austen May have many surprises if she could visit now but the theater might just please her greatly. I am a huge fan of the theater, too. I probably should have included that in my guest post! My husband and I feel fortunate to live in Los Angeles where there is access to so many great productions. We have season tickets to several theater companies, and wish we had time to see more. Like Jane, I was involved in theatre growing up (performing on stage from elementary school through college) and loved every minute of it. I suported my talented sons in their pursuit of the same, and was the proud "theater mama" serving as costume coordinator and whatever else I could do, while they performed or starred in dozens of productions. What great memories. It's such fun to know that Jane shared the same love for theater and "itch for acting"! In four years in Ecuador I have not seen one advertisement for a play - not even a school play. However, our twin five-year-old grandchildren love to put on plays. They do Bible dramas and fairy tales (remember Fairy Tale Theater?) which my husband, John and I regularly attend. John hated the theater until he saw Cats! and Lion King on Broadway. Of course, he hated ballet until we went and watched Baryshnikov. He was so impressed with the athleticism. We do car races of every sorts and sports to be balanced. Rural Oregon means we drive to Portland or Seattle. But at least we do not have to drive in LA traffic. Congrats on your book, Syrie. I already have two copies waiting in the States. JA would be proud of you. She would probably smack me upside the head for A Father's Sins for picking on Mr. Bennet and Jane Bennet. Sigh! Ah, that flirtatious cousin Eliza! She must have been a gold mine of ideas for you, Syrie. I made some small use of her in my book too. From your comment above, I now know why you were so comfortable in front of a crowd portraying our fair Miss Jane in Diana's two-woman play the second time we met, at the Seattle JASNA meeting. I suffer from stage fright myself, although I find that my enthusiasm for JA and writing goes a long way, giving me courage to do a little public speaking on those subjects from time to time. You must have had so fun fun researching this book.